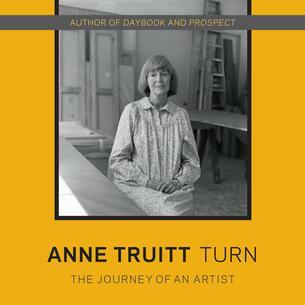 With the same brilliant insight that inspired readers of Daybook, Anne Truitt continues to reflect upon herself, her art, her children, and the world around her as she comes to terms with old age and the inevitable challenge of death. Turn chronicles a rich and varied period in Truitt's life: she spends nine months as acting director of Yaddo, an artist's retreat; she observes her children's passage into adulthood and accepts them as her peers; and she undergoes tremendous changes in her work as she reconciles herself to her own vulnerability in the art world. For more info visit iTunes or Audible.